On which I would like to display multiple manually entered directed routes starting and ending at the highlighted vertex 1. These routes can overlap, traversing each edge multiple times, requiring multiple distinct directed arcs between nodes. 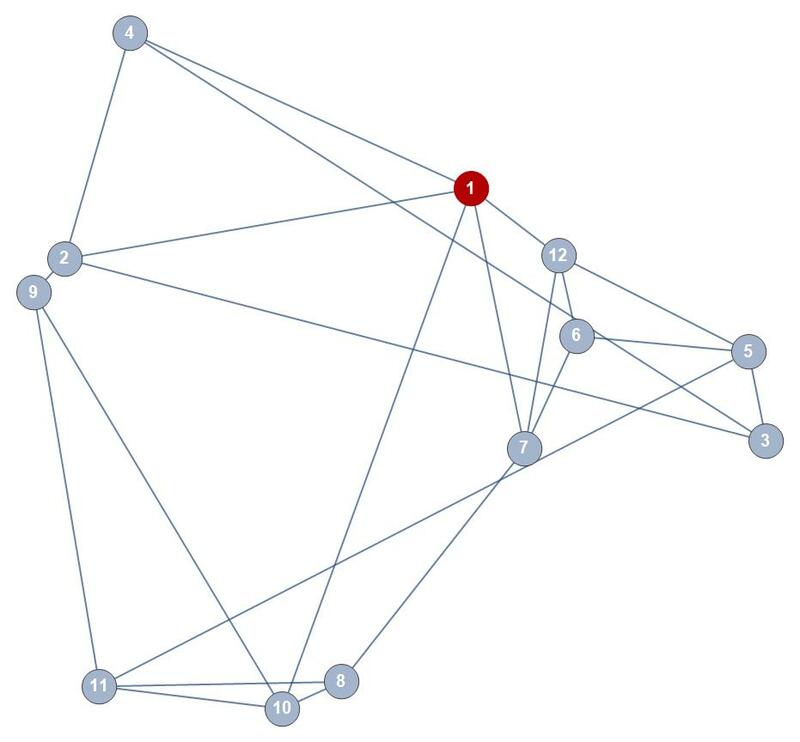 However, they cannot also be introduced as weighted edges or they will distort the topology of the graph. I will discern different routes with different coloured edges, so being able to make a single class of different edges between nodes will suffice. I'm stumped. Any thoughts on how to do this would be fantastic. Not the answer you're looking for? Browse other questions tagged graphs-and-networks style or ask your own question. How can I conveniently call igraph from Mathematica? How to specify different colors for edges going between the same two vertices in Graph? 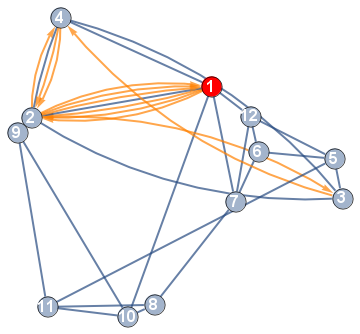 How do I create a graph with randomly directed edges starting from a undirected graph? Automatically convert pairs of directed edges to an undirected edge?